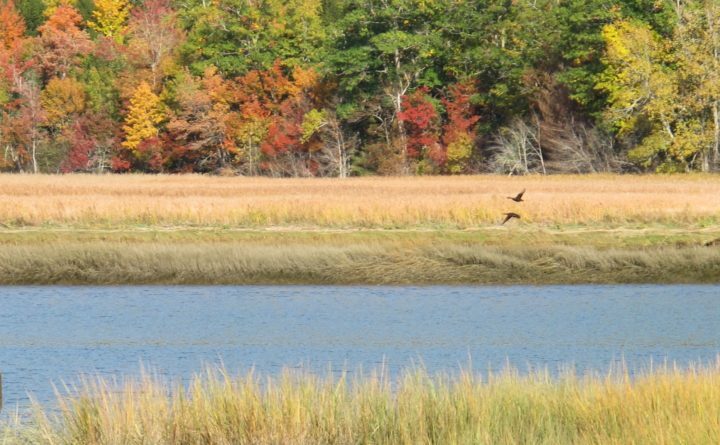 Two ducks fly over Mendall Marsh on Tuesday, Oct. 9, 2018. Good morning. Temperatures will be in the mid-50s with rain throughout the day. Here’s what’s happening in Maine today. Do you have questions about the 2018 election in Maine? We want to answer them. Robert Gray steps out of the voting booth after he filled out his ballot at the Brewer Auditorium in November 2017. Although turnout was predicted to be low, election officials in several towns said there was a steady stream of people at the polls. –The 2018 election is less than a month away, and if you still have questions about politics in Maine, we want to answer them. 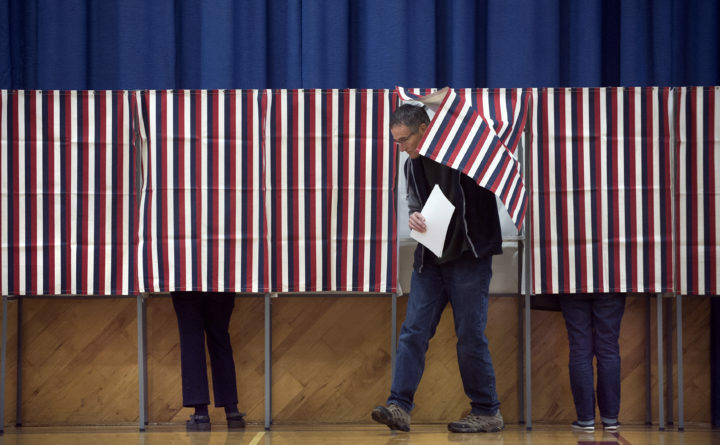 Fill out this form to submit your question, or email your question to politics@bangordailynews.com. We look forward to hearing from you. –Michael Ukaj, 34, was one of 17 passengers in a 2001 Ford Excursion limousine that sped through a stop sign on a rural road 25 miles west of Albany and slammed into a parked SUV on Saturday. Two pedestrians and the limo driver also were killed, in addition to all passengers. Ukaj, the son of Kyle and Mary Ashton of Winterport, graduated from Hampden Academy in 2002. He later enlisted in the military, joining the U.S. Marine Corps and serving as a combat engineer in Iraq. In this 2006 photo Lee Kantar, a wildlife biologist with the Maine Department of Inland Fisheries and Wildlife, examines a harvested deer. 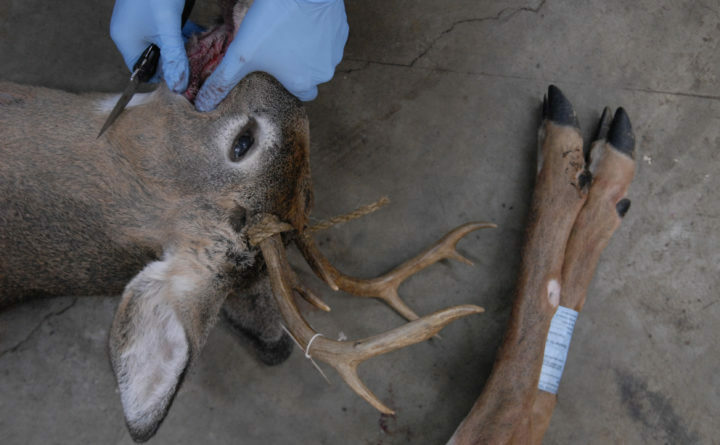 State biologists check teeth and remove brain stems and lymph nodes from deer killed by hunters to check for chronic wasting disease. The ailment, which is fatal to deer, has been discovered in a deer in Quebec, prompting fears that it could be headed to Maine. –For more than 20 years, deer biologists across the Northeast have kept a wary eye to the west as chronic wasting disease was found in deer in several states. Late this summer, the disease was found in a single deer at a Quebec deer farm just north of Montreal, again raising the threat that the disease might show up here in Maine for the first time. –A Maine software developer plans to roll out DoGood, a cryptocurrency alternative to Bitcoin that would aim to promote “social good.” Nate Davis of Rockland plans to test DoGood in early December with hopes that its benefits will spread across the globe soon thereafter. 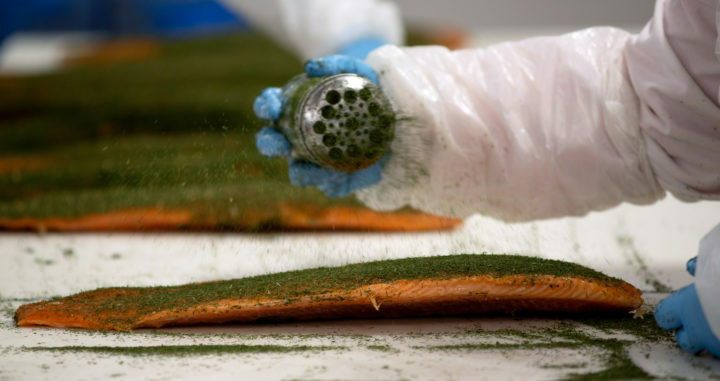 Tracey Larby seasons smoked salmon in the processing room of Ducktrap River of Maine in Belfast. Ducktrap River of Maine is marking its 40th year of smoking fish on the Maine coast with a $5 million expansion that will increase its production capacity by 75 percent. With 160 workers, its one of the city's largest employers and poised to grow. –In its 40th year, Ducktrap River of Maine is set to reap the benefits of a $5 million expansion. The second largest smokehouse in the U.S. processes more than 100,000 pounds of fish, and about 80 percent of that is salmon, which is shipped to Waldo County from all over the world. The smoky delicacies that the company’s 160 full-time workers churn out can be found in Hannaford, Trader Joe’s and Whole Food Market stores throughout the country. –Two years ago Lincoln Jandreau opened his door at his Wallagras home to let his two dogs out one last time before going to bed and got a somewhat smelly surprise. Despite their odor (and the odor they spray on others), skunks are an important part of the Maine ecosystem, according to Shevenell Webb, furbearer and small mammal biologist with the Maine Department of Inland Fisheries and Wildlife. 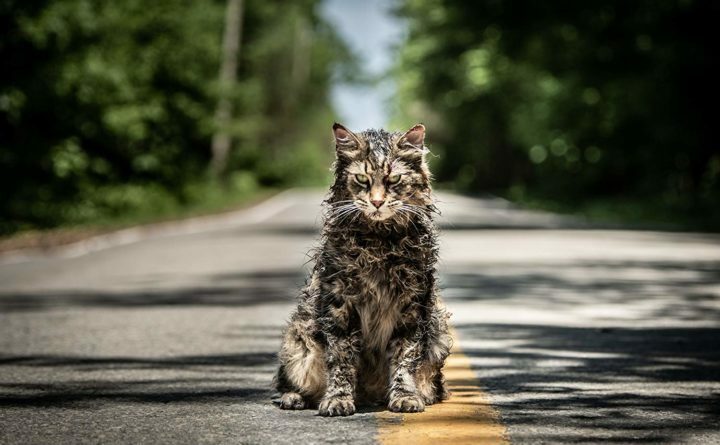 A still from the upcoming "Pet Sematary" remake. –The film, starring John Lithgow, Jason Clarke and Amy Seimetz, is a retelling of Stephen King’s beloved 1983 novel about a nice young family that moves to a small Maine town. When their cat is hit by a truck, they bury it in the pet cemetery near their new home — only to find out it is a place where the dead don’t always stay dead. The film is due in theaters in April 2019; you can watch the official trailer for the movie here. The Endangered Species Act works. Just look at Maine’s bald eagles.